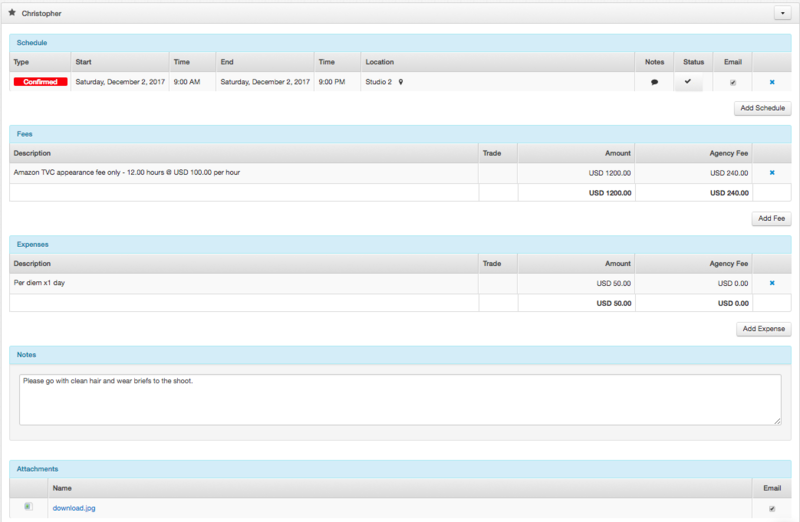 In order to add talent to you booking, you have to add a booking description and have saved this. 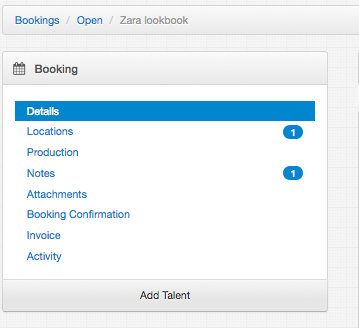 Once the booking has been saved the Add Talent button will appear and you can begin adding talent to your booking. Once talent have been added you are able to begin filling in the talent details pertaining to this booking.